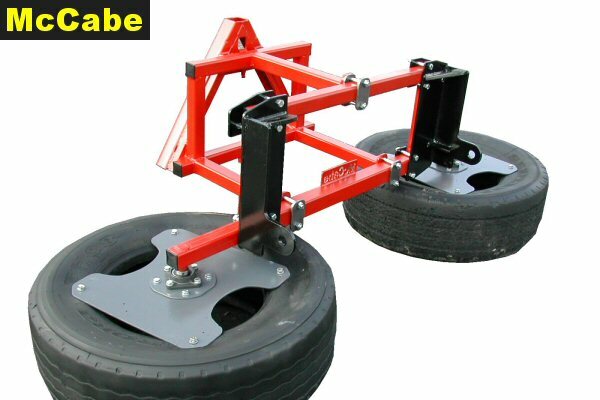 Our silage pusher is designed so that it can be used on either a front loader or Three Point Linkage of a tractor. 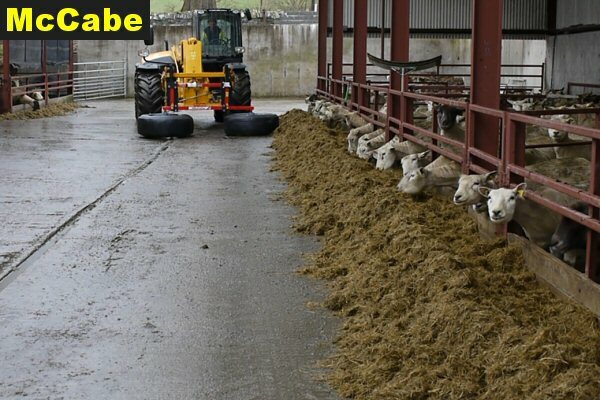 All Silage Pushers are now Galvanised. 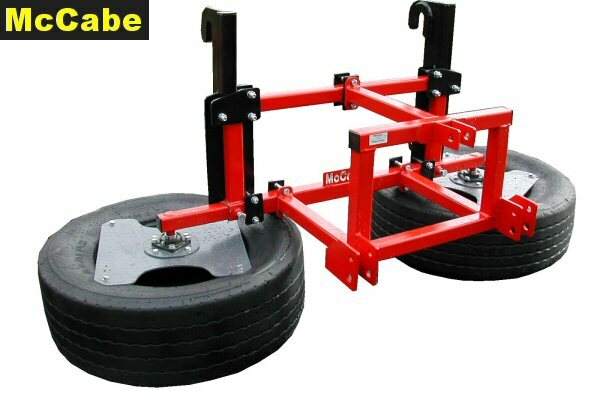 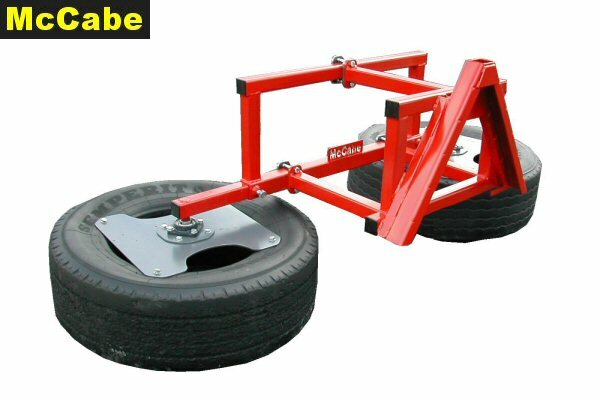 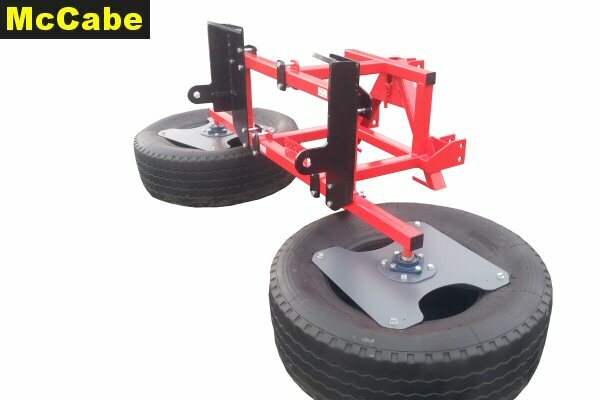 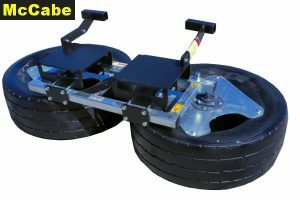 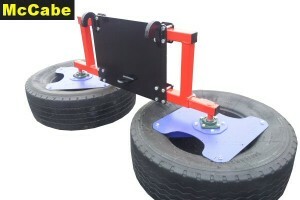 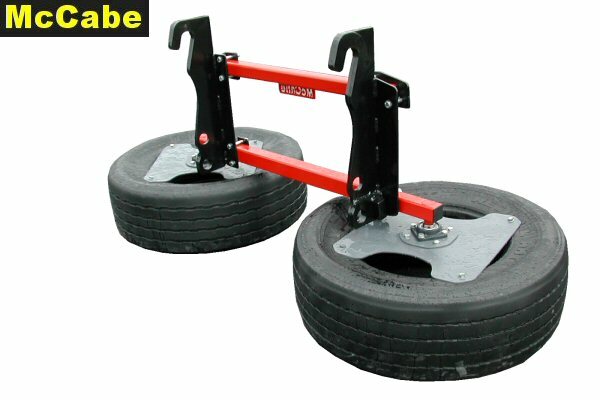 It is a two wheel design that is adjustable in width to suit the customers feed passage and tractor. 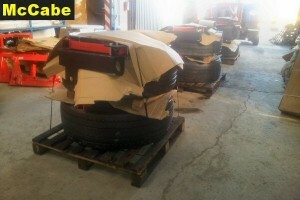 The tyres are truck super singles which have a very thick side wall. 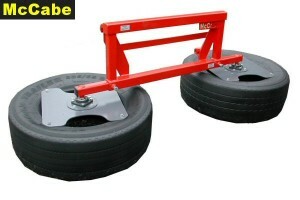 They rotate on greasable bearing units for reliability, long life and efficient rotation. 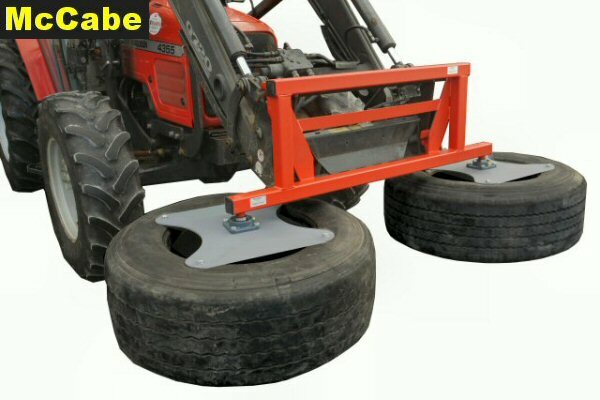 When the wheel comes in contact with the silage, it rotates pushing the silage tight to the feed barrier. It is adjusted wide enough so that the wheels of the tractor don’t drive on the silage so waste is to a minimum. See silage pushers in use videos. 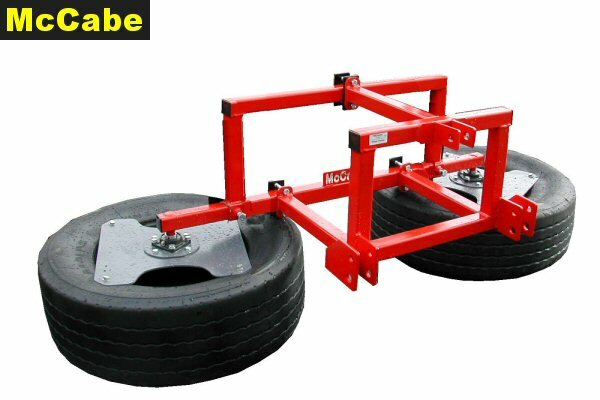 The pusher is available with the customers specification of quick hitch brackets and/or Three Point Linkage, as well as our own designed adjustable brackets that allow the pusher to be picked up, used safely and dropped with a silage grab without having to get out of the tractor.